Hello friends! Are you all settled into the new year? 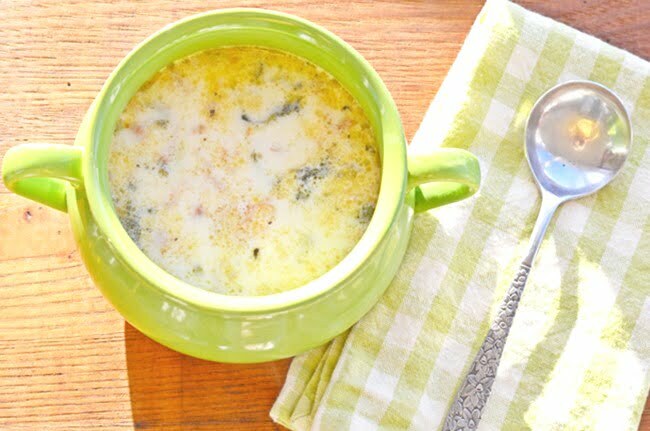 Today I’m sharing my own version of zuppa toscana soup. Leo has declared that it’s the best soup that I’ve ever made. That’s a pretty strong recommendation because I love to make soups and I’m pretty good at it, too. 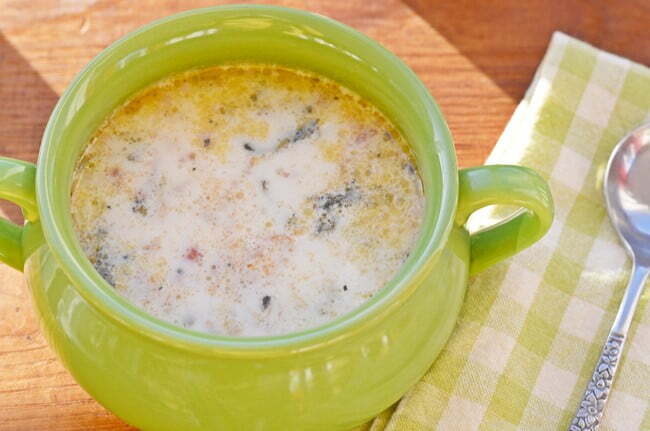 But first, what exactly do the words zuppa toscana mean? Well, you can probably guess that zuppa is Italian for soup and toscana is the Italian word for Tuscany. Many of you may have had the Olive Garden Restaurant’s version of this traditional Italian soup made with potatoes, sausage,and greens. 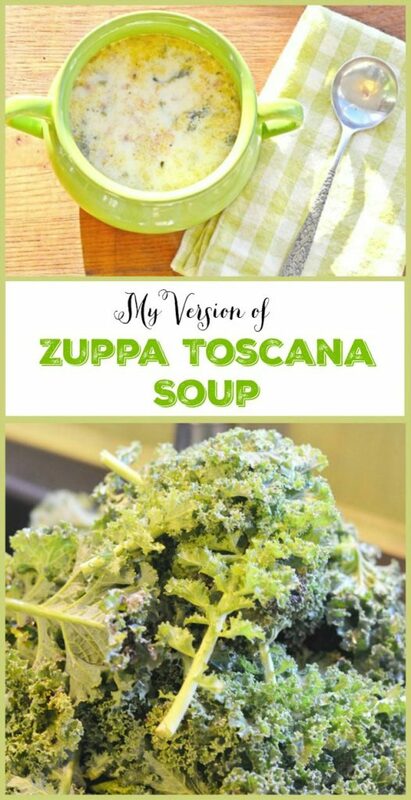 I do love to order this soup when I eat at Olive Garden, and my version was certainly inspired by their soup, but it’s NOT a copycat version. You see, I love to tinker with recipes, and I’ve tinkered around with this one a few times until I’ve gotten it JUST RIGHT. We started growing kale in our garden just so I could put it in this soup! So if you can get your hands on some homegrown kale from a farmer’s market, that would be great, but a large package from your grocery store will work, too. I start this soup by cooking the kale first. I give it a good wash and cut it off the stems using scissors. Then I use the scissors to cut it into even smaller pieces as I’m adding it to a large stock pot. Then I add enough water to cover the kale and add 1 tablespoon of garlic salt. I let it come to a boil and then I let it simmer, uncovered, for about 30 minutes. A lot of zuppa toscana recipes call for adding uncooked kale to the soup, but I have found that cooking it by itself longer really tenderizes the kale. Once its finished cooking, just set it aside but do NOT drain the water from it. It’s filled with wonderful nutrients that you want to keep in your finished soup! 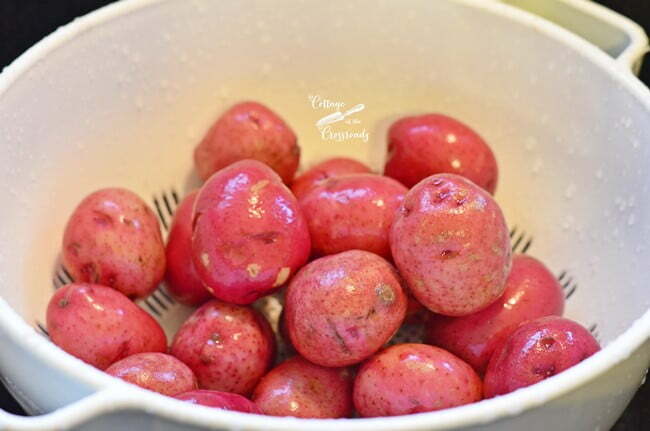 While the kale is simmering, wash the red potatoes and then cut them into small cubes. Put the potatoes in a pot and add enough cold water to cover them. Add 1 tablespoon of salt and bring them to a boil medium high heat, then reduce the heat and simmer them, uncovered, for about 10-15 minutes. Set aside when done. Now, this is the ingredient that gives such wonderful flavor to the soup. 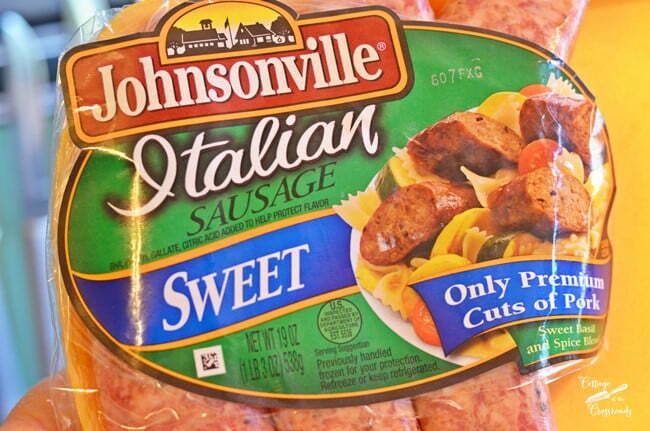 Be sure to use SWEET Italian sausage rather than spicy. I’ve tried both and I think the sweet yields the best flavor. I can only find the Italian sausage in links so I just cut off the casings and put it in a frying pan to brown. Brown the meat slowly over medium heat and use the end of a flat spatula to break apart the sausage as it cooks. Remove the sausage from the pan and allow the fat to drain. Add 1 tablespoon of butter to the pan and add 1 chopped sweet onion and 4-5 ribs of chopped celery. Saute until tender and add to the pot of cooked kale. Also add the drained sausage and the cooked but undrained potatoes. Stir to blend. 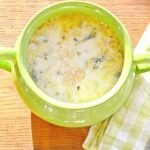 Most zuppa toscana recipes call for adding heavy cream and chicken stock but I have found you don’t need to do that. 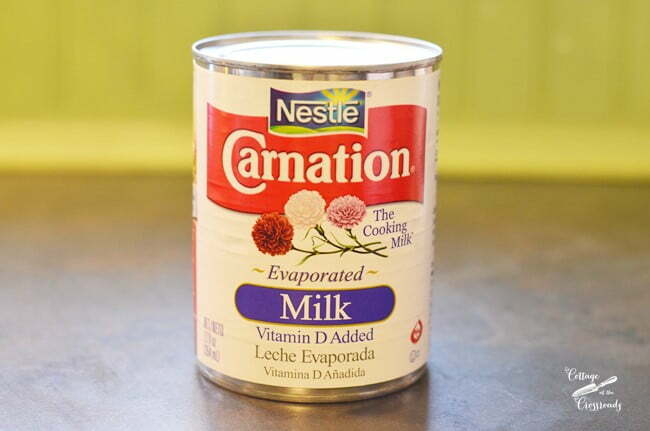 To make the soup nice and creamy, I add 1 can of evaporated milk and 2 cups of 1% milk. At this point, taste the soup and add additional salt and pepper. Simmer the soup for about 10 minutes to blend all the flavors. Pour into bowls and garnish with bits of cooked bacon if you’d like and serve immediately. But I have to tell you that my bacon sank to the bottom before I could get a photo! This soup hits the spot on cold, winter days and is sure to become your family’s favorite. It’s a WINNER, for sure, and is just as good the next day as leftovers. 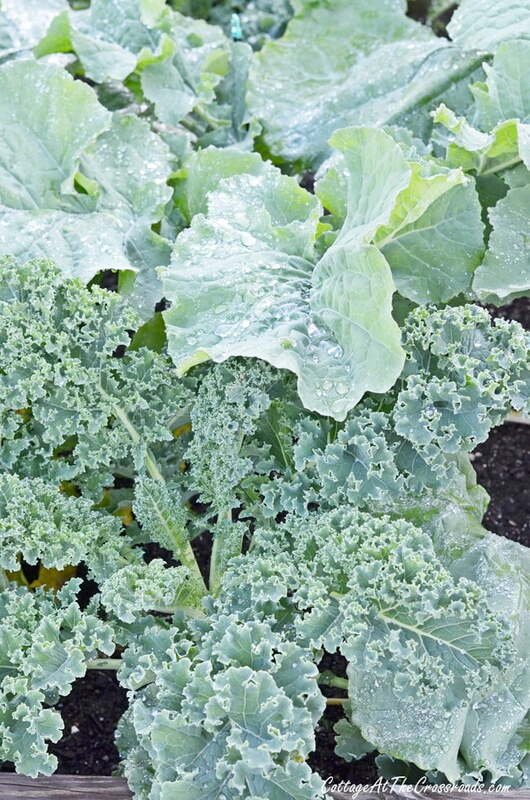 Put chopped kale into a large stockpot and add enough water to cover the kale. Bring to a boil over medium high heat; reduce heat and simmer about 30 minutes. Put the cubed potatoes into a large pot and cover with water. Bring to a boil over medium high heat; add 1 tablespoon salt; reduce heat and simmer for 10-15 minutes or until tender. Place the sausage in a frying pan over medium heat. 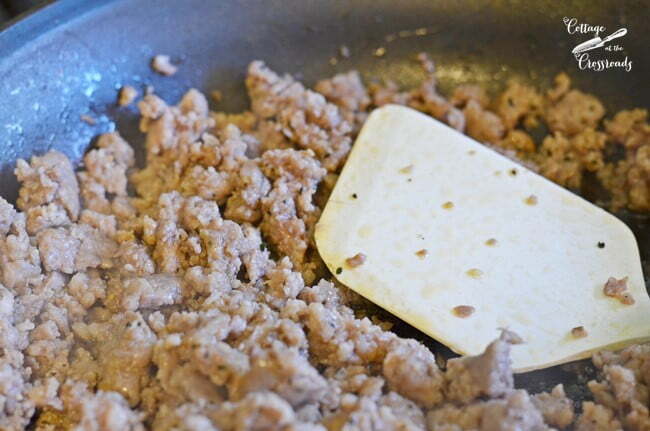 Use the end of a flat spatula to break down the sausage into smaller pieces as it is browning. Remove from the pan and drain. 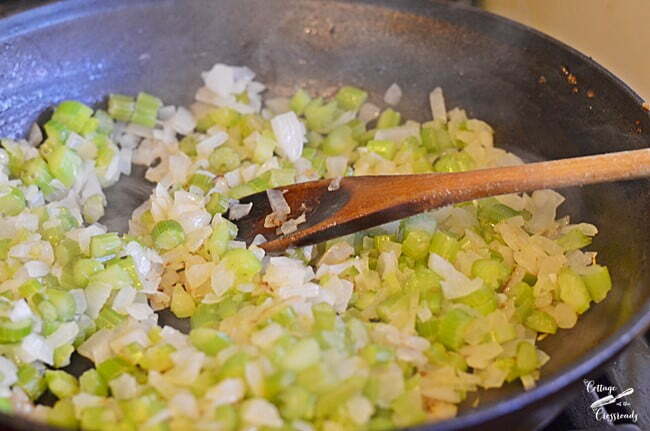 Add 1 tablespoon butter to the same frying pan and saute the onion and celery until tender. Pour the cooked potatoes and liquid into the large stockpot with the cooked kale. Add the drained sausage and cooked onion and celery to the same stockpot. Add the 2 cups of milk and the can of evaporated milk and stir to blend. Taste and add additional salt and pepper as desired. Simmer uncovered for an additional 10 minutes or until ready to serve. Garnish the bowls of soup with cooked, chopped bacon, if desired. The soup is just as good served as a left-over the next day. This looks and sounds delicious, Jane! Yum, sounds so good Jane! Now if our weather would cooperate and cool down so I can try your soup. Soup is our basic food group in fall and winter. Can’t wait to make this! We love soup and this one sounds so good! 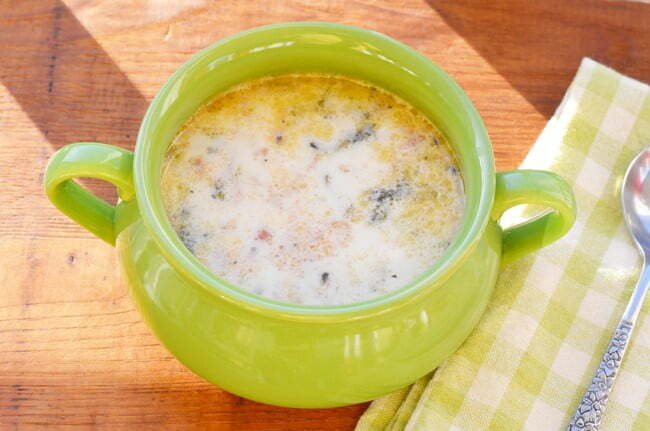 I love soup and really like the sound of your zuppa Toscana…delicious I’m sure. This recipe is perfect for this Italian girl and family! Pinned to my Italian food board. Sounds delicious! Good for the upcoming cold evenings! I love eating soup and this one looks so good. I pinned to my soup board so I can make it later. Thanks for sharing your recipe! 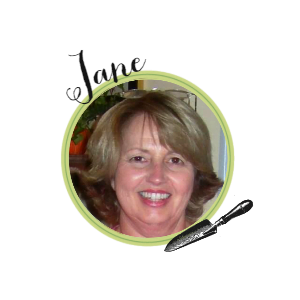 Thanks so much for pinning, Lynn! I think you’ll really love this soup! Printing this off Jane it sounds delicious and I can’t wait to try it. I will get the sausage in the turkey version for hubby but I bet it will still taste great! Thanks for sharing. Wish we could use turkey sausage here, but Leo has the chicken curse! He’s allergic to all fowl, including turkey. Yes, I know, it’s a strange allergy! That is so hard to believe, Mary! We frequently go to Olive Garden to get soup and salad for lunch. This is my favorite soup….I might try this on the next snowy NY day!! Yes, it would be perfect on a snowy day, Patti! Looks good, Jane and I can smell it! Going to pin this to my soups board. I love soups and have made two different ones in the past couple weeks. Thanks so much for pinning, Kim!